Card skimming is an increasing threat for banks and consumers, costing billions of dollars annually worldwide. Detection and prevention are critical to securing customer information, minimizing loss and protecting brand reputation. 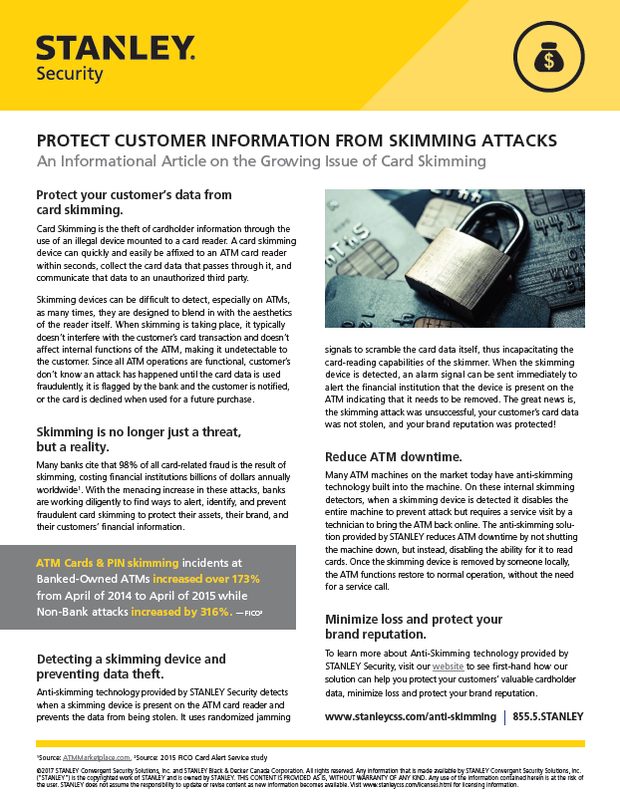 Download this informative article to learn more about partnering with STANLEY Security to prevent card skimming attacks.